Second last day. 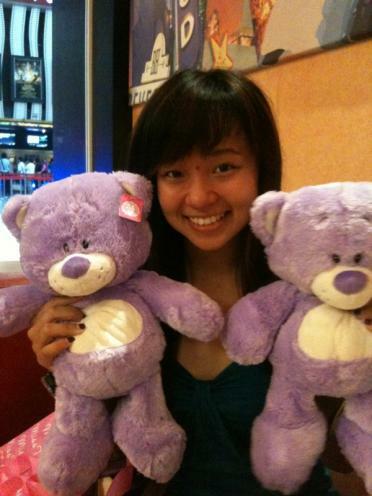 This is Celine the proud new owner of two purple Teddy bears. Was a pretty good night. Had a big argument with Janning about the stirer/straws you get from fast food or coffee places. Went to a fashion show at a Malaysian bar.